It was one of those days that made me think, “Hey, maybe this was a good idea.” What was a good idea, you ask? Well, primarily the decision to homeschool. 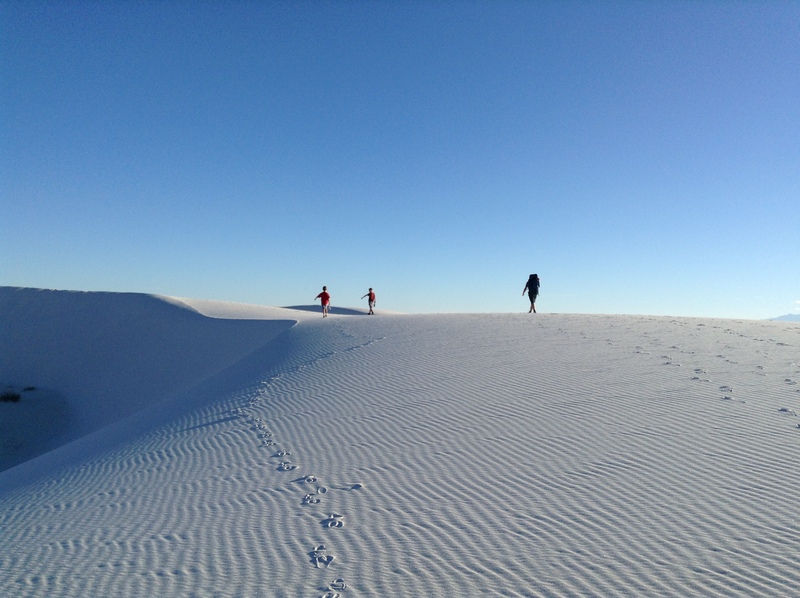 But also everything that came with it that got us here, to this point–a homesick Wisconsin family living in the suburban desert of West Texas. Because yesterday was one of those days when it was really good to be a family, together, in the middle of nowhere. Felix has been busy making movies lately. Well, mostly movie trailers (I think the trailers outnumber the actual movies 3 to 1.) We recently downloaded the iMovie app onto the boys’ iPads, and while Alfred finds iMovie to be a snarl-inducing frustration, Felix LOVES it. He’s been a movie maker for a while, but his early work was done with a digital camera and a laptop running Windows Live Movie Maker. Switching to iMovie on the iPad (with its own built-in camera) has had quite an impact on his productivity. Even without it, though, Felix is one of those people who can maintain concentration on a project for a really sustained amount of time. If he wants to make a movie, he makes a movie, no matter if friends come knocking on the door or his mother is yelling at him to get dressed/eat something/clean up/get ready for bed/etc. It takes him hours. Days. He is driven, persistent, creative, and a really good storyteller. These are some of the qualities that make me lean toward what the folks call “unschooling” as I continue trying to figure out how to make homeschooling work for us. 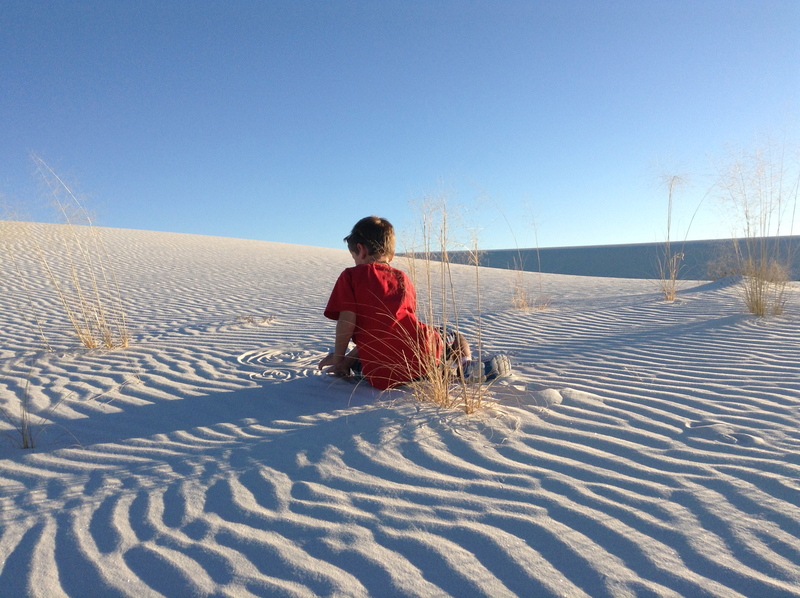 Unschooling is theorized (and ideally practiced) as a learner-driven approach to education, where the kids follow their own interests and parents/teachers serve as guides on their journey. It means that the parent’s attention is focused differently–less on curriculum development (or curriculum-purchasing) and more on how to support what the child is interested in learning about. Yesterday, “structure” meant packing up the majority of the boys’ stuffed animals, some Lego characters, and some Cars cars, along with the model T-Rex skeleton (named “T-Dex,” in case you’re interested), and driving two hours to shoot the photos necessary to make several Felix productions. Guess who made this happen? Felix has never been an “easy” child. It’s what comes along with being driven, creative, persistent. 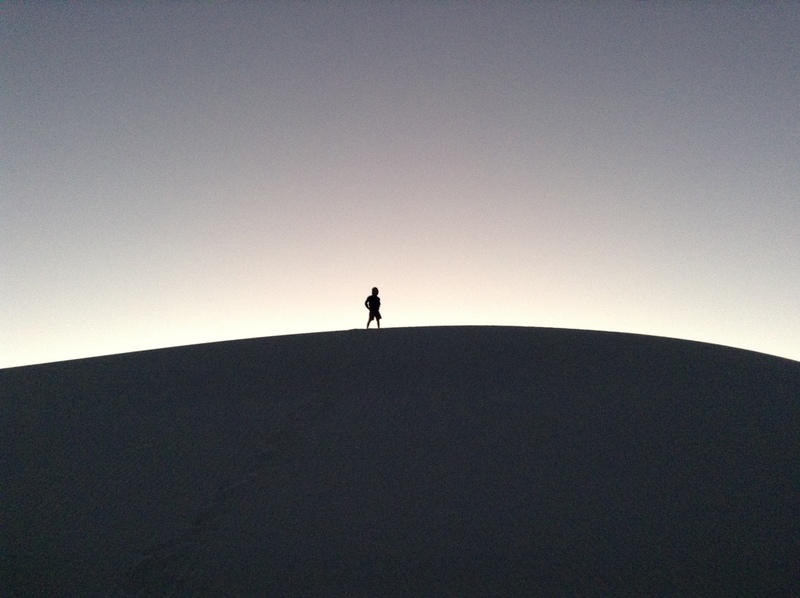 So, to create events, situations, entire days, when he is thoroughly engaged and … happy–no, happy is not the right word, even though he was definitely that; he was in what Mihaly Csikszentmihalyi calls a state of “flow”–is a challenge. Yesterday, he was fully himself and thoroughly enjoying it, even though it was hard work. And witnessing it was pure joy for me. And key to his happiness, his state of flow, was his father’s role in it. They did it all together. Alfred and I amused ourselves as best we could and stayed out of the way. Here are Felix and his dad, shooting some scenes in the sunlight. 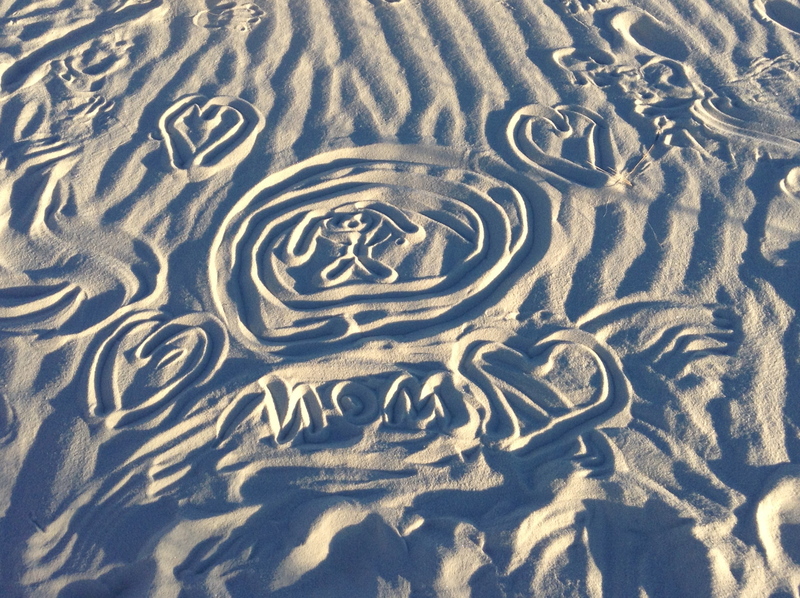 While they set up, photographed, took down, and started the process all over again, Alfred and I doodled in the sand. Without Grandma living nearby, there’s been a sad lack of art-making in Alfred’s life, so we were both happy to have this chance. And I got a whole bunch of love notes out of the deal. It was a perfect day. And it would have been perfect even if almost all of Alfred’s artwork hadn’t been love notes to his mother. It would have been perfect even if one of Felix’s movie projects hadn’t turned out to be “Lost In the Dunes: A Father-Son Story,” which though not fully made yet, promises to be a beautiful tribute to this time he had with his dad. Our days with them as children are already so numbered. Felix will be 10 in two weeks, and I know he feels himself to be turning a corner of childhood. To have this one day was such a gift. And it couldn’t have happened any other way. We had to have made these terrifying changes to get to this point, and (for today, at least) I am so grateful we did. 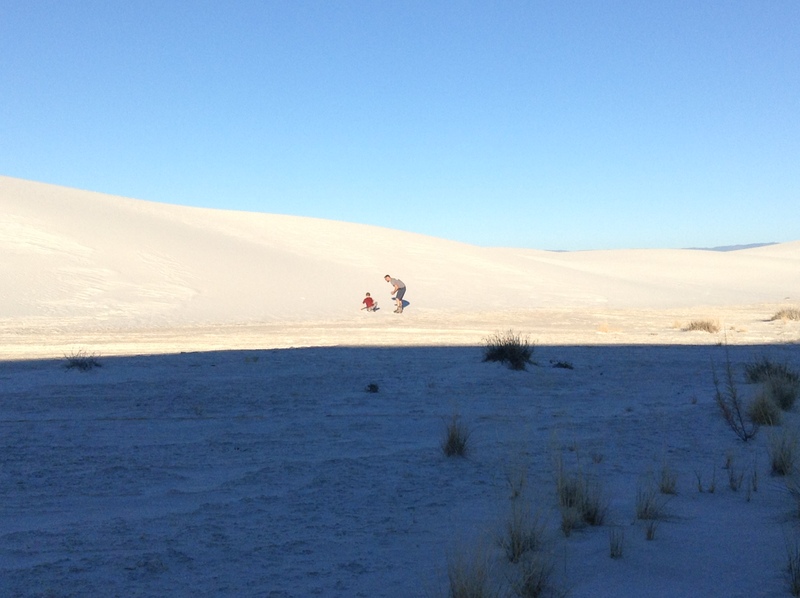 This entry was tagged unschooling, White Sands. This was a beautiful day to read about. 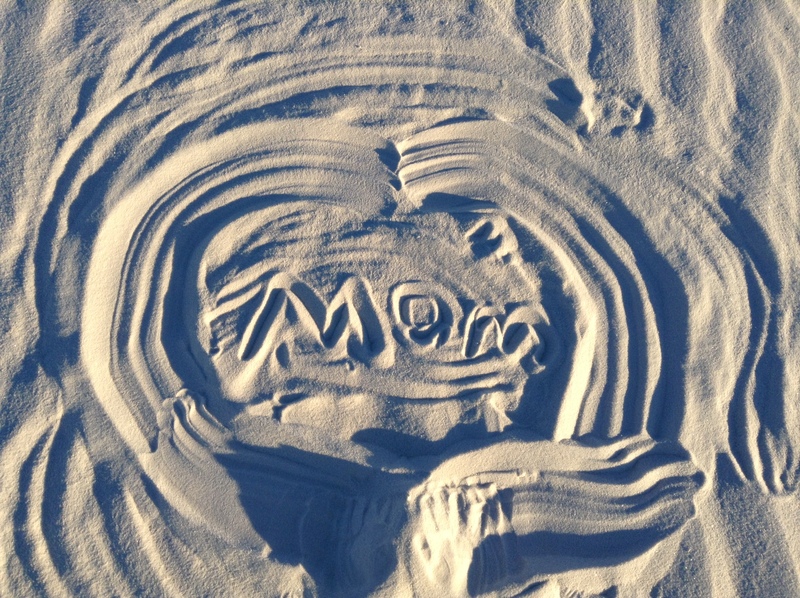 I loved the photo of Felix running free with his dad, and I was touched by Alfred’s sand art. This is SO GREAT Melissa!! !